Time flies, doesn't it? One day, you're thinking only Sega and Nintendo are capable of building quality, successful gaming hardware. The next, you wake up to find that Microsoft is building a video games console. Yet it's been eleven years to the day that the world awoke to such a scenario, as it was at the Game Developers Conference in 2000 that Microsoft boss Bill Gates took to the stage to introduce the company's first ever video games console: the Xbox. Learning from the company's supposed success in the PC gaming arena (and failures with the Sega Dreamcast), the Xbox promised the world from the very beginning. "Building on our strengths as a software company, Xbox will offer game developers a powerful platform and game enthusiasts an incredible experience," said Gates. 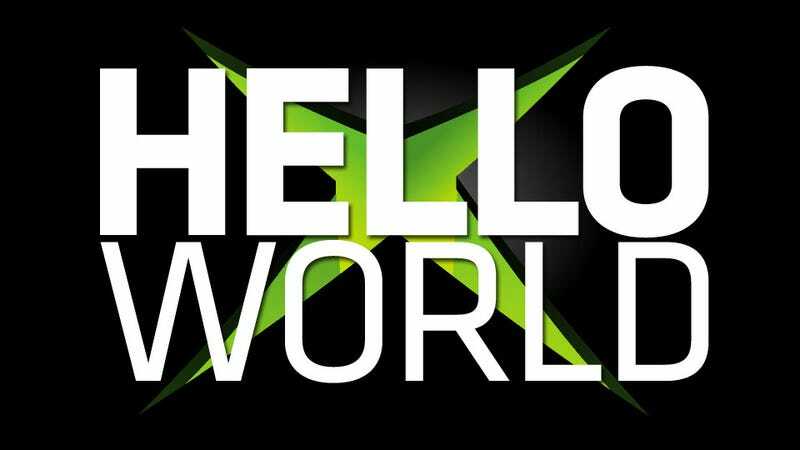 "We want Xbox to be the platform of choice for the best and most creative game developers in the world." "We're taking the best of the PC and putting it into a console"
We're not going to look back at the machine itself here, which while never challenging Sony's PS2 for market dominance did enough to warrant development of a second console. Or its games, like Halo, as both are more fitting for a retrospective on the anniversary of the console's release. What's interesting about this date is looking at the promise of the Xbox. What Microsoft hoped it should have been and we hoped it could have been. A statement released by Microsoft on the day of its reveal - March 10, 2000 - gave the world its first look at what the Xbox would be capable of. Though Xbox is first and foremost a superior gaming machine, and like traditional game consoles will run through a TV set, it will have additional capabilities for a consumer's convenience. Out of the box, the console will come standard with four game controller ports, a DVD player, a hard drive, and broadband Internet access (it will be able to support a modem as an add-on), with a keyboard and mouse as optional peripherals. The four ports, DVD player and HDD were greatly appreciated! The keyboard and mouse, though, never happened. As a dedicated, locked-down games system, it is not an all-purpose machine. It is designed specifically to provide the best console game experience available, and its add-on features support that goal. Broadband access will enable users to play with thousands of other gamers on the Internet, and will provide the ability to download the latest updates to games. In a basketball video game, for example, a user will be able to download the most current status of teams in the NBA, so the game will accurately reflect that information. Xbox's first director of marketing, Don Coyner, said this was "taking the best of the PC and putting it into a console". He was half right. While things like roster updates are great, that ability has also led to a very unwelcome part of PC gaming - constant patches and updates - becoming commonplace in console gaming, an advantage those machines once had over their home computer siblings. A final interesting proclamation again comes from Coyner, who said "There has been a generation change, and Microsoft recognizes that. People are expecting more from their devices, and that's as true for entertainment as anything else. And we at Microsoft have the experience to help by innovating with new technologies." It's interesting because the Xbox is about the only example of MIcrosoft getting any of that right, having been trumped in the mobile and music player businesses over the past decade by not just Apple, but companies like Google as well. Closing out Microsoft's big announcement was something that, more than anything else, makes it feel like a lifetime ago: a third-party offer of support. In 2011, that support would be expected from companies like Activision, EA and Capcom. In 2000, it came from...the CEO of Acclaim, Gregory Fischbach, who said "We are very impressed with the technology and are looking forward to creating games that will leverage the power of the system. We view the advent of the next generation consoles — such as Xbox — as a tremendous opportunity to grow our business." Acclaim went bust in 2004. Thankfully, Microsoft's side of the deal has lasted a little longer.